When you're a guest at The Raintree Hotels, you'll only be 8 kilometers from the Annai Vailankanni Shrine. Dedicated to Our Lady of Good Health, the Shrine is world renowned for the many miracles that occur from the outpouring of daily prayers. While you're there, you'll want to visit the other equally interesting sites, such as Mother Mary's Square, Adoration Chapel, The Grotto, and the Museum. This place of worship and pilgrimage is truly an inspirational attraction. 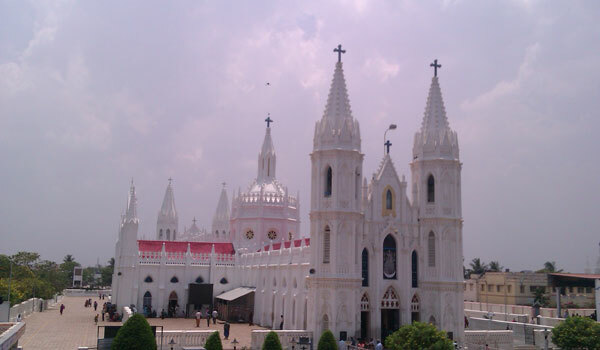 What takes place at the Annai Vailankanni Shrine? Every day of the year, hundreds of people arrive at the Shrine. They line up to touch the feet of the Holy Mother’s statue. In addition, they offer up their respect by placing flowers, garlands, and candles at the base of the statue. Can I purchase a memento of my visit? You most certainly can. Stop by the religious article stall and you’ll find a fine selection of items, including rosaries, calendars, prayer books, medals, stickers, and statues.